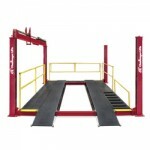 Alignment Rack Package with 15,000 lb. lifting capacity. 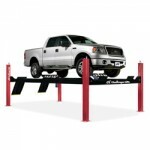 4-Post Lube Rack with 12,000 lb. lifting capacity. 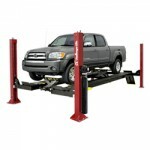 Surface Mounted 4-Post Lift with 14,000 lb. lifting capacity.